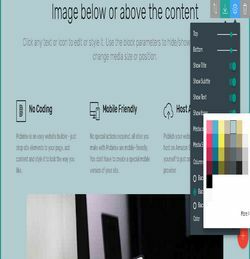 This article block is a copy of the Mobirise 4 theme block, but you can customize this entirely. You can change the background color, the line color, the line width and also set the border radius. 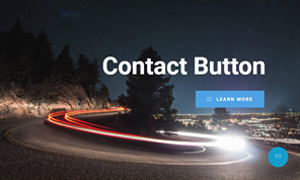 Awesome looking header featuring iOS and Android buttons. 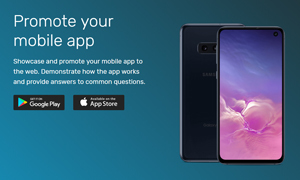 Ideal to promote your app with! You can customize the background color of both buttons. 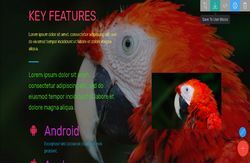 Next to that, the background can be set to be gradient, single color, image or video, just like any modern block. You can also customize arrow icon. It is advised to host both appstore images on your own host. 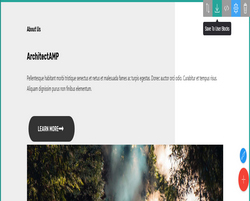 Beautiful intro or header block that comes with an editable background color on the title. You can also add buttons and even customize the "next" arrow. If you're using an unofficial Code Editor, you can use this empty block. Simply add it to your page and edit it with your Code Editor. 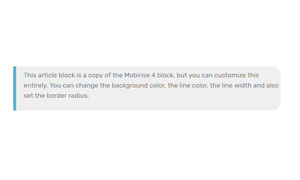 If you're using the official Mobirise Code Editor, you already have such a custom block. Allow to show images using several tags selection instead of the one tag selection by Mobirise default. 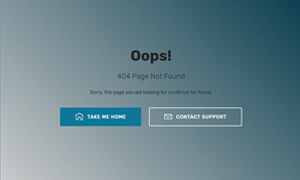 This Design Block shows a simple 404 Page Not Found. You can customize the background to be a gradient color, image or video, set the block to fullscreen and show/hide all elements. For this block to be active, you may have to change some server settings so the 404 page is displayed when no page has been found (.htaccess, ngingx.conf, web.config, etc.). 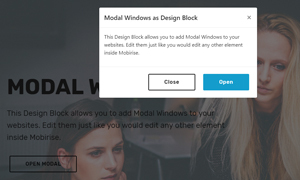 This Design Block allows you to add Modal Windows to your websites. Edit them just like you would edit any other element inside Mobirise. 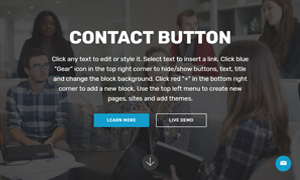 This block creates a nice little floating button in the bottom right corner of your website. You can link this button to whatever you prefer; e-mail address, another page, a modal window, the choice is yours. You can change the appearance of the button to anything you like. 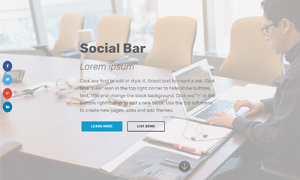 This block adds a floating Social Bar on the left side of the screen. You can customize up to 6 icons. This block isn't entirely finished yet, so it's advised to not yet use this in a live website. It's been uploaded to demonstrate the possibilities with the Design Blocks extension. 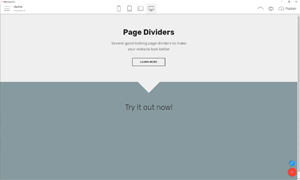 Several good looking page dividers to make your website look more interesting. There are several types to choose from. Select the top and bottom color to match the blocks above and below the divider. This is the default (white) Mobirise 4 menu. 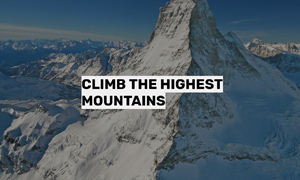 Normally, menus are global, meaning they're applied to every page in your website. This one is only applied to the page you apply it to. 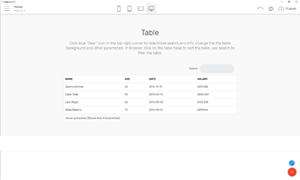 This is the default Table block of the Mobirise 4 theme, but without the option to sort/order the table. 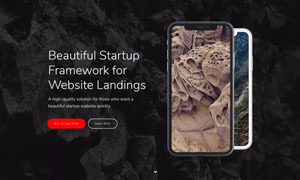 Beautiful intro block for website landings.